ALL VIDEOS CONTAIN THE RHYTHM AND LEAD GUITAR PARTS! 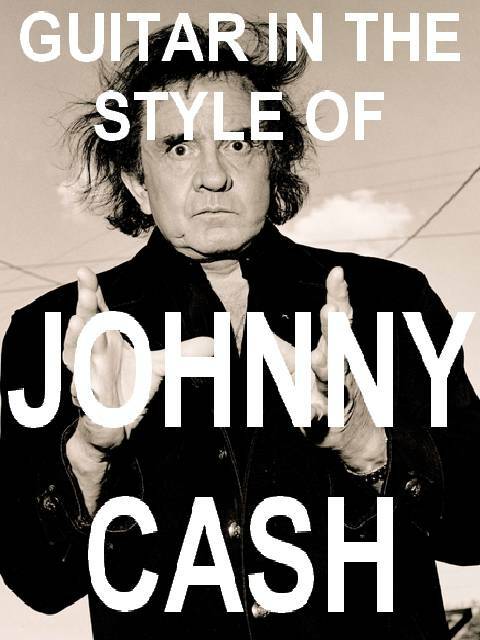 In this 2 1/2 hour video, you will learn 8 of Johnny's best songs. I first teach you the rhythm part on acoustic guitar.....then I teach you the lead parts on electric guitar & last, you get the tracks to play along and practice what you've learned to. A capo will be needed for this lesson. This course is not for the beginner. RUN TIME IS 2 1/4 HOURS. 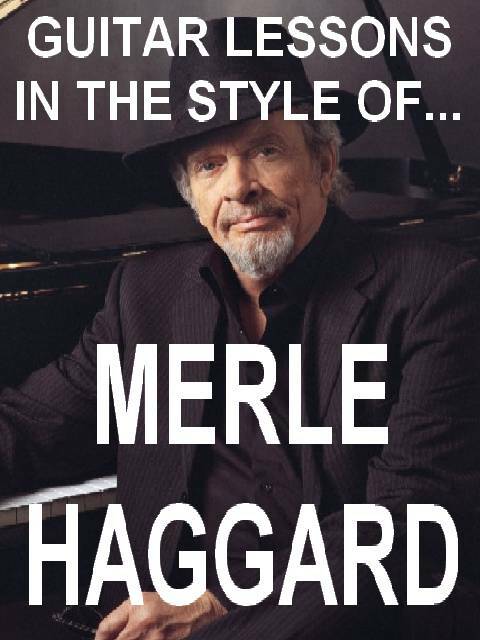 In this 2 1/4 hour video, you will learn 5 of Merle's best songs. I first teach you the rhythm part on acoustic guitar.....then I teach you the lead parts on electric guitar & last, you get the tracks to play along and practice what you've learned to. A capo may be required for the acoustic guitar part on Working Man Blues as the song is in the key of G#. 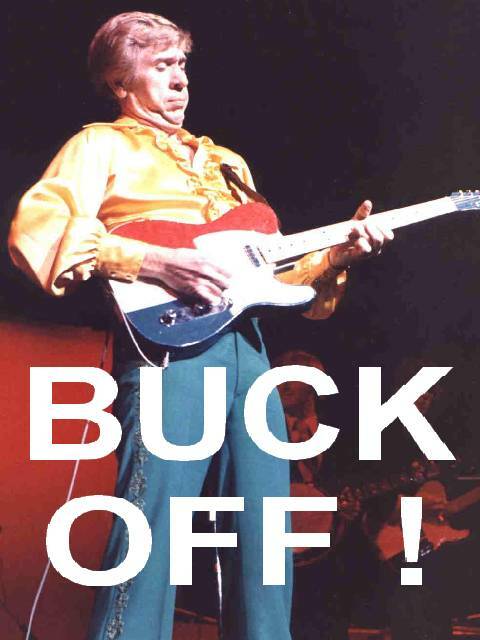 In this 2 hour video, you will learn 5 of Buck's best songs. I first teach you the rhythm part on acoustic guitar.....then I teach you the lead parts on electric guitar & last, you get the tracks to play along and practice what you've learned to. Be sure to check out the video intro below for a hint on they type of capo you will need for a couple of these songs as they are in sharp or flat keys. There is also some detuning for some of the lead guitar parts (only your low E string). RUN TIME 2 HOURS & 42 MINUTES. 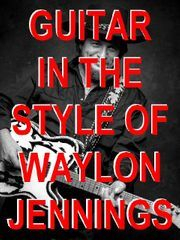 In this 2 hour and 42 minute video, you will learn 5 of Waylon's best songs. I first teach you the rhythm part on acoustic guitar.....then I teach you the lead parts on electric guitar & last, you get the tracks to play along and practice what you've learned to. 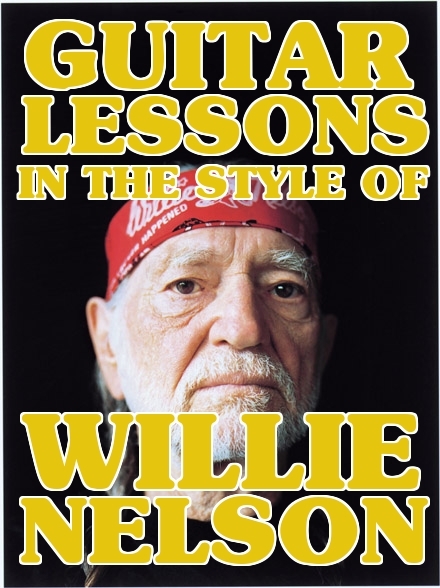 In this 3 hour video, you will learn 6 of Willie's best songs. I first teach you the rhythm part on acoustic guitar (from the real songs, not some lame karaoke version).....then I teach you the lead parts, also on acoustic (of course) & last, you get the tracks to play along and practice what you've learned to. RUN TIME IS 4 HOURS! In this 4 hour video, you will learn 7 of Alan's best songs. I first teach you the rhythm part on acoustic guitar.....then I teach you the lead parts on electric guitar & last, you get the tracks (the real songs) to play along and practice what you've learned to. RUN TIME IS 2:45 HOURS! 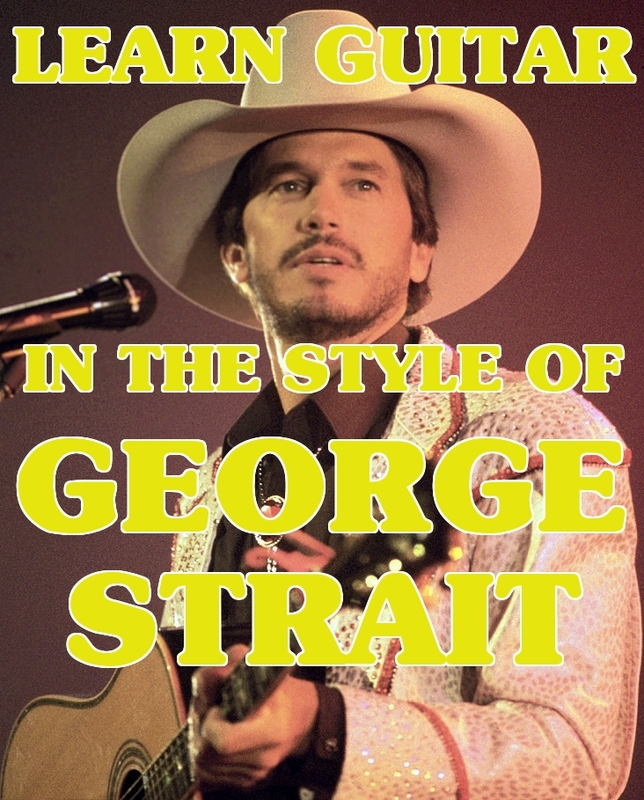 In this 2 hour & 45 minute video, you will learn 6 of George's best songs. I first teach you the rhythm part on acoustic guitar.....then I teach you the lead parts on electric guitar & last, you get the tracks( the real songs) to play along and practice what you've learned. You will also need a capo for "Write this down" as it is taught in the original key of G#. That's right, nearly 4 1/2 hours of great lessons. That Pete Anderson laid down some amazing lead guitar work that requires lots of instruction to get it all right. 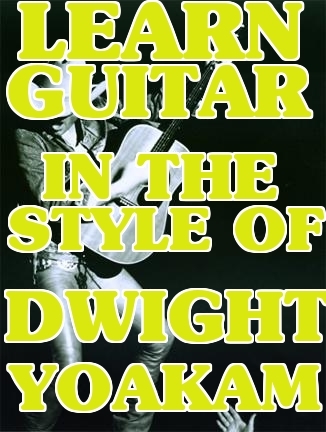 In this nearly 4 1/2 hour video, you will learn 6 of Dwight's best songs. I first teach you the rhythm part on acoustic guitar (from the real songs, not some lame karaoke version).....then I teach you the lead parts on electric guitar & last, you get the tracks to play along and practice what you've learned to. Not for the beginner here kiddies! Run time is 3:41 hours! 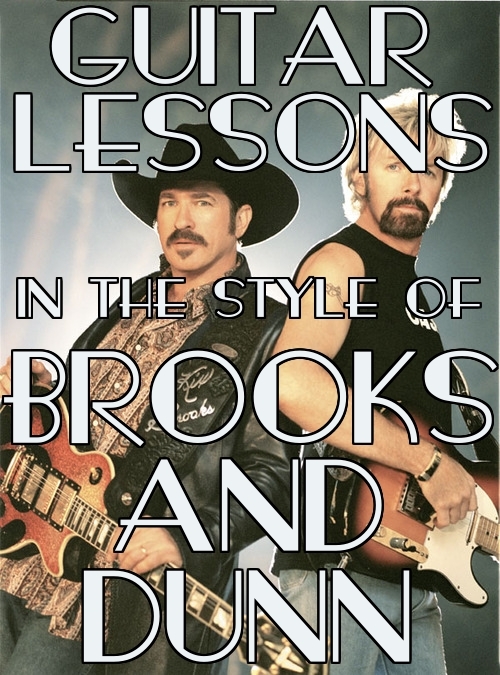 In this nearly four hour video, you will learn 6 of Brooks & Dunn's best songs. 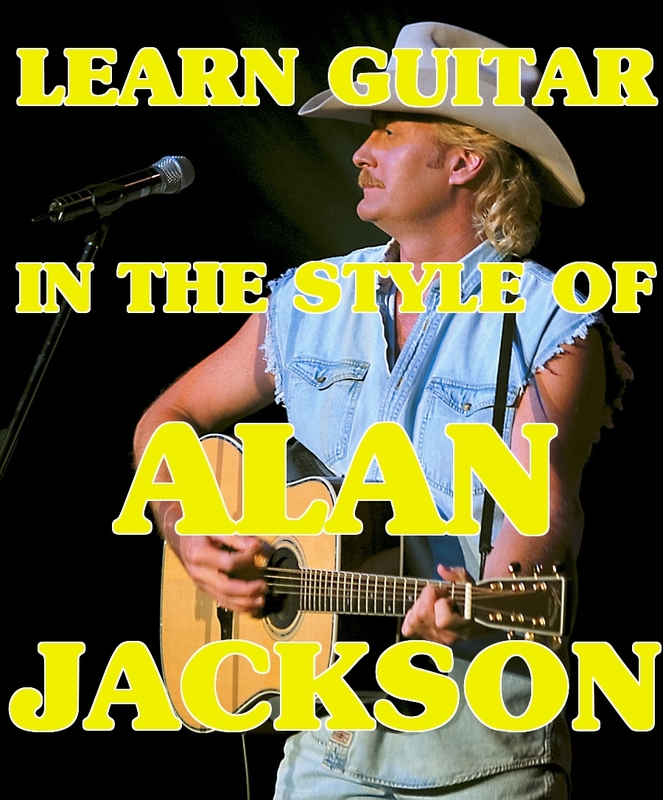 I first teach you the rhythm part on acoustic guitar (from the real songs, not some lame karaoke version).....then I teach you the lead parts on electric guitars and this course will require you to play slide electric guitar, so you will need a slide bar and I'll teach you to play the slide too. Lastly, you get the tracks to play along and practice what you've learned to. Run time is 3 1/4 hours! In this 3 1/4 hour video, you will learn 6 of Hank's best songs. I first teach you the rhythm part on acoustic guitar (from the real songs, not some lame karaoke version).....then I teach you the lead parts on electric guitar & last, you get the tracks to play along and practice what you've learned to. A capo may be required for the acoustic guitar part on "If Heaven Ain't A Lot Like Dixie" as the song is in the Key of F and the chords are F-Bb-C. So, if you're not comfortable playing Bb chords on your guitar, a capo would be a great idea as I do teach the rhythm part using the capo. LEGENDS OF COUNTRY GUITAR PACK ! 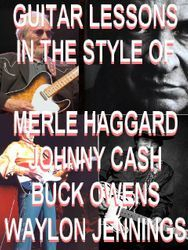 You will receive over 9 1/2 hours of the greatest legends of country music guitar lessons on 1 DVD ROM video! 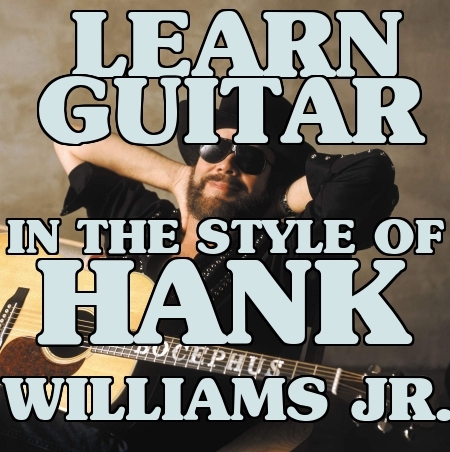 You'll get the Buck Owens, Johnny Cash, merle Haggard & Waylon Jennings lessons that are shown above...all on one computer disc!